I like to take walks, but I hate taking my purse with me. So I’m usually trying to cram my wallet, phone, keys, and anything else – like dog poop bags – in various pants or hoodie pockets. It’s annoying. If only there were a way to find the perfect bag… a mini bag, if you will, that would have just enough room for those bare essentials. 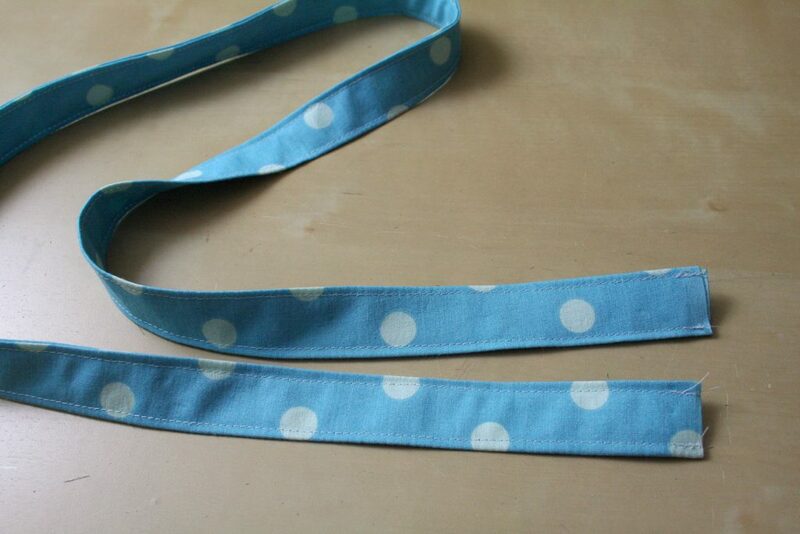 And the strap would be long enough that it would rest nicely on my hip on not have to be held on my arm or shoulder. Check out the video or follow along with the text/photo instructions below. 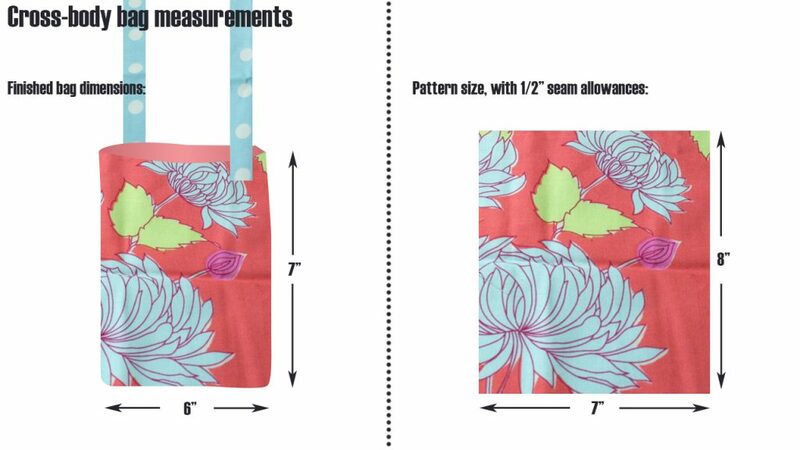 As usual, you can adapt this bag to fit your needs – make it bigger smaller, longer or shorter strap, more pockets, less pockets…. You know what I say: get wacky. 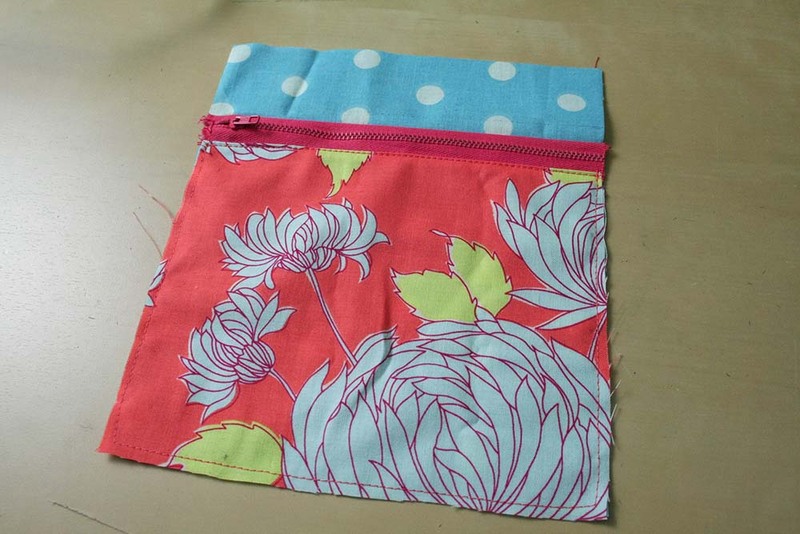 My finished bag is going to be 7″ x 6″. 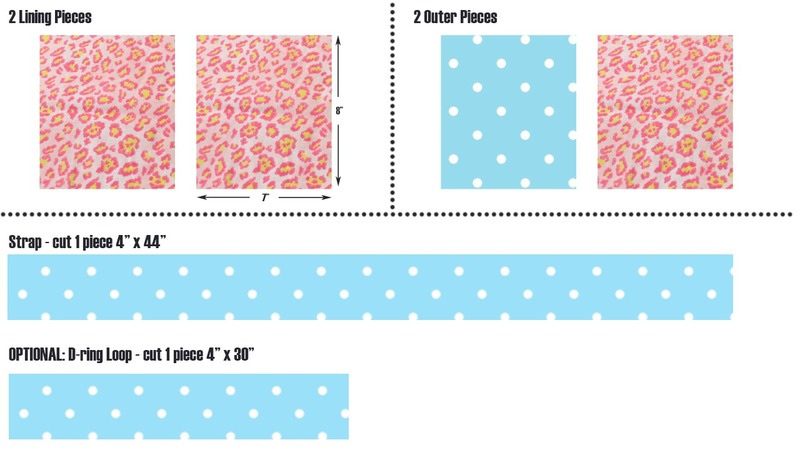 Accounting for 1/2″ seam allowances, that means our outer bag pieces and our lining pieces should be 8″ x 7″. I’m going pocket crazy with this bag, so there are additional pieces to account for. BUT! 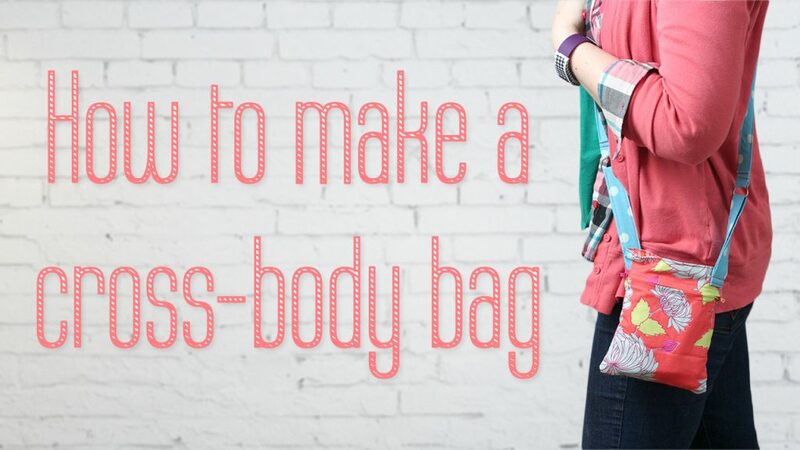 If you just want a simple, no-frills bag, you can just go with two outer pieces, two lining pieces, and a strap. 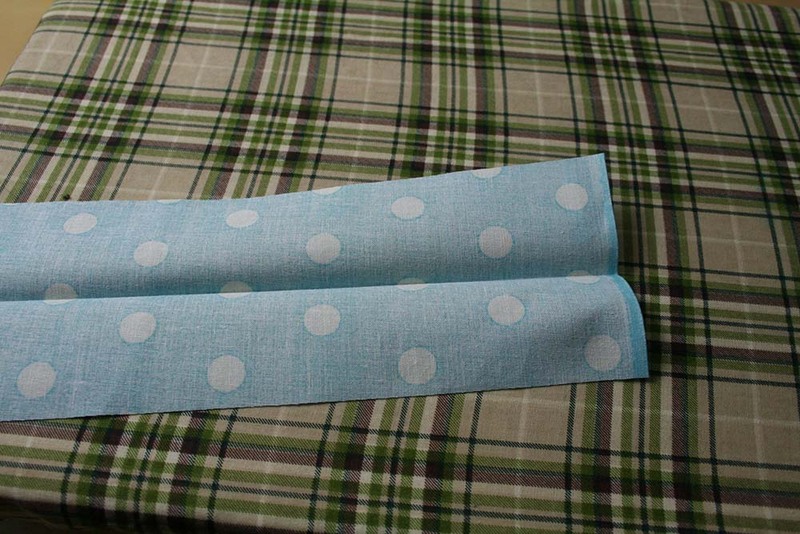 Feel free to add interfacing if you want it. I wanted a lot of pockets, because I love having a pocket, for example, JUST for my keys… then I don’t have to go through all the pockets trying to find the keys at the bottom. The keys are in the key pocket! The phone is in the phone pocket! Et cetera! 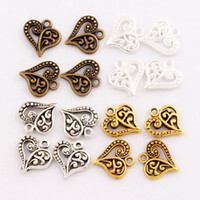 Again, totally adaptable for your needs. Two of my pockets are zipper pockets, because zippers make everything better. 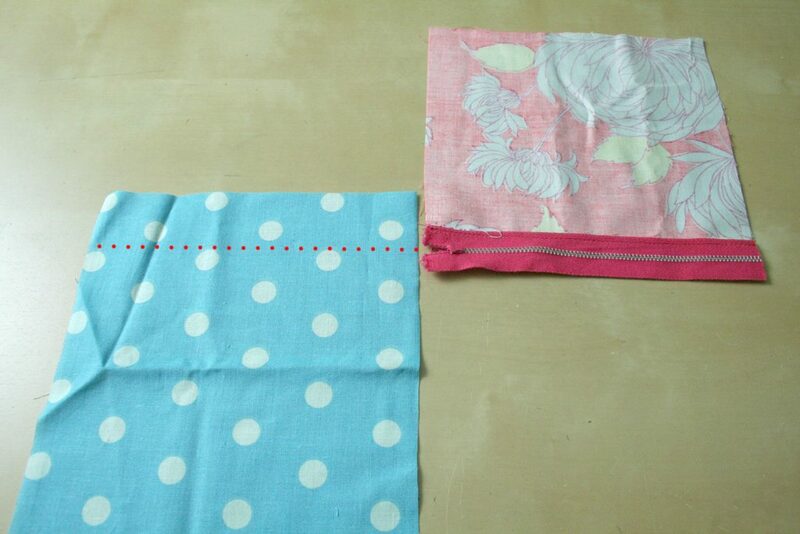 So here I’ve got my two lining pieces. 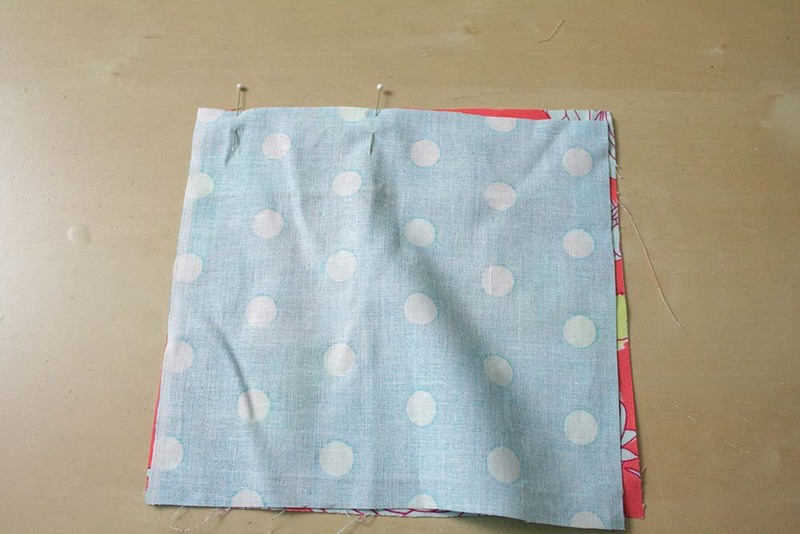 Slap those two lining pieces right sides together, and pin around the sides and bottom. 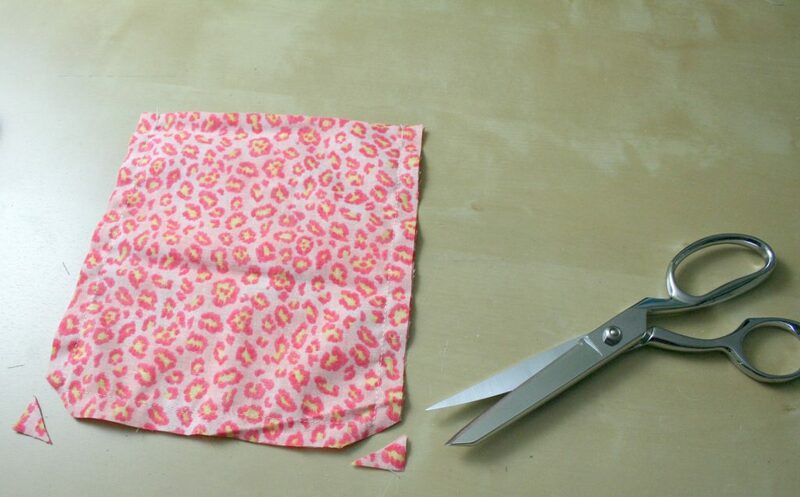 Sew using a ½ inch seam allowance. Pretty simple. 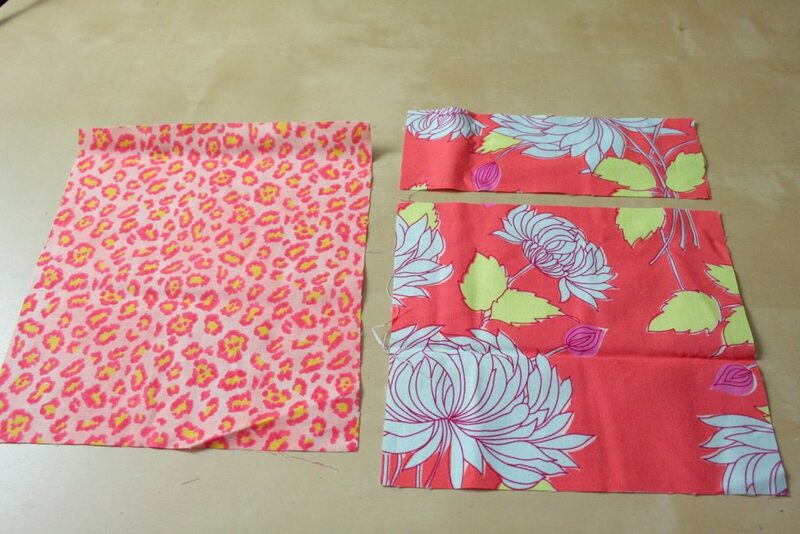 Once you have the lining put together, set it aside. Now we’ll move on to the strap. Or I should say strap + D-ring loop. If you want one long strap with no doo-hickeys, you can skip the D-ring nonsense. But I like my nonsense! If you’ve watched some of my other bag videos, this is my standard double-fold strap method. 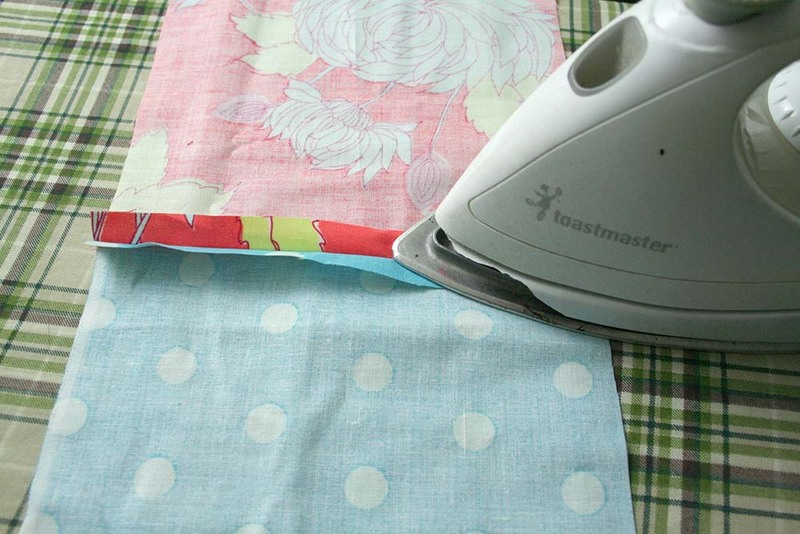 First you fold it in half lengthwise and press with the iron. This gives a nice center fold line. Fold the raw edges in to meet the center line and press again. And finally, folding along the center line we originally pressed, we sandwich the raw edges inside and press again. Then we stitch along both edges. You could technically stitch just on the open edge, but for symmetry’s sake, I always stitch both. 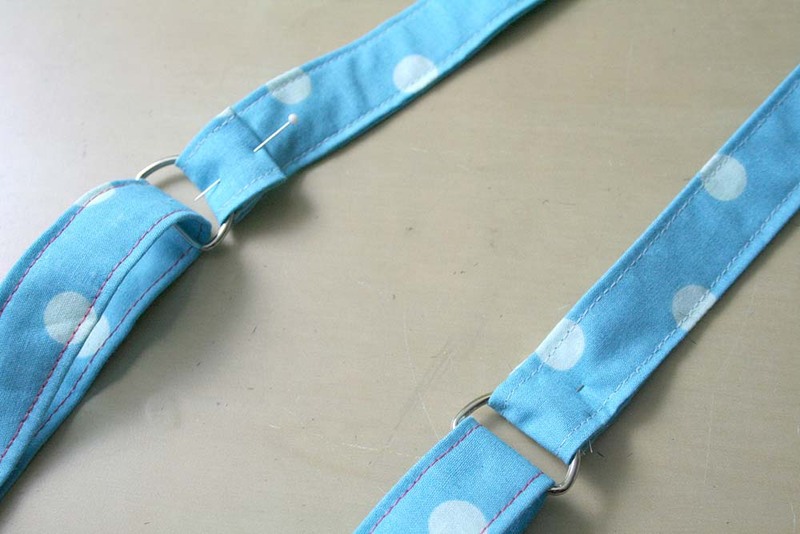 Repeat for the other strap piece (if you’ve got one), and then set the straps aside. Alright, zipper pocket time. 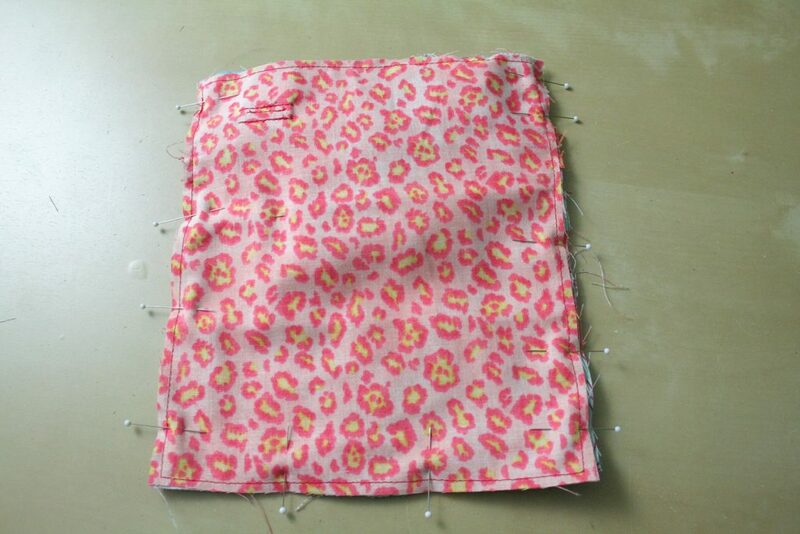 Well, zipper pocket number one. 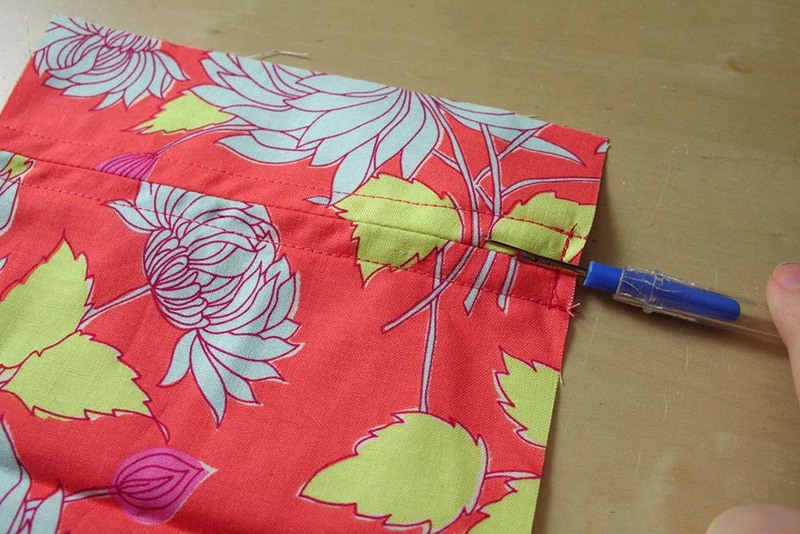 In one of my other tutorials — the square bottom bag with zipper — I demonstrated a welt pocket. I figured I might as well go with a different zipper insert method this time, just for shiggles. 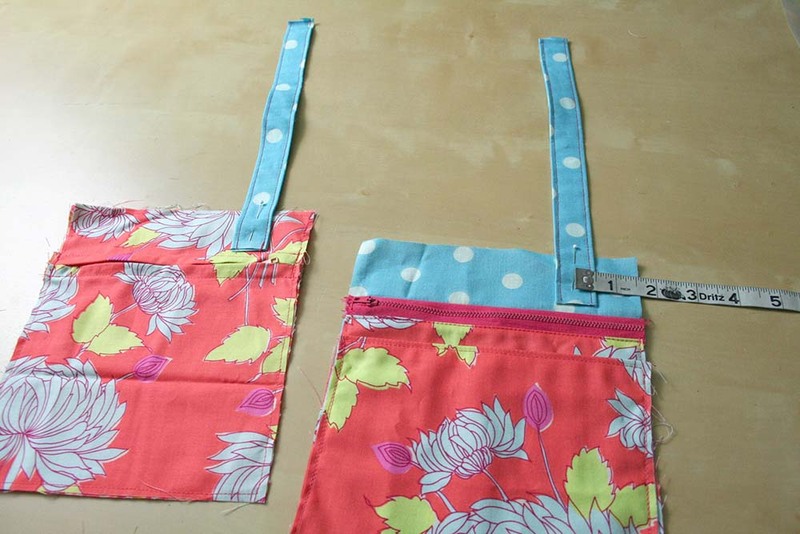 Actually, I’m going to do two different zipper pockets. 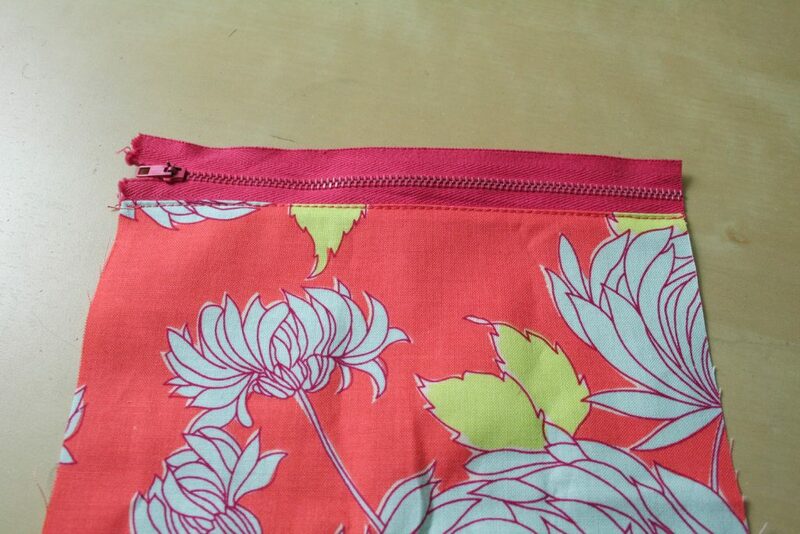 This first one is a centered zipper. 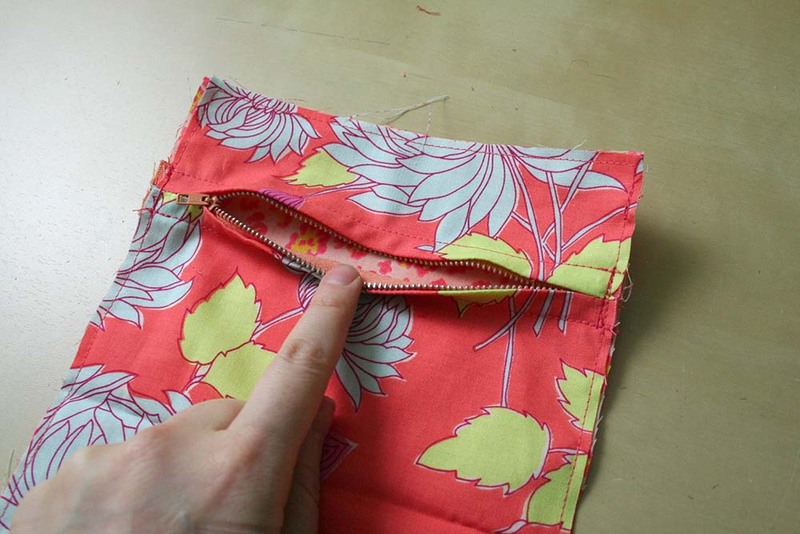 This is one of the most common ways to insert a zipper into… well, almost anything. 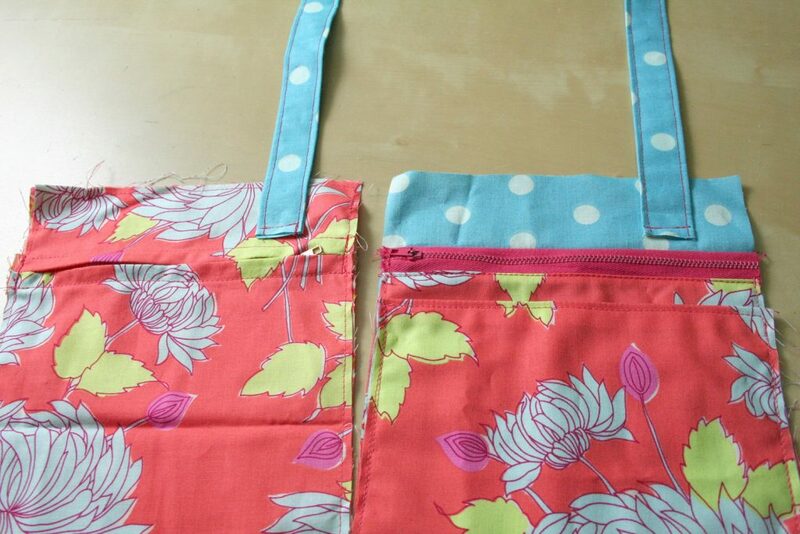 So here are some of our outer bag pieces. 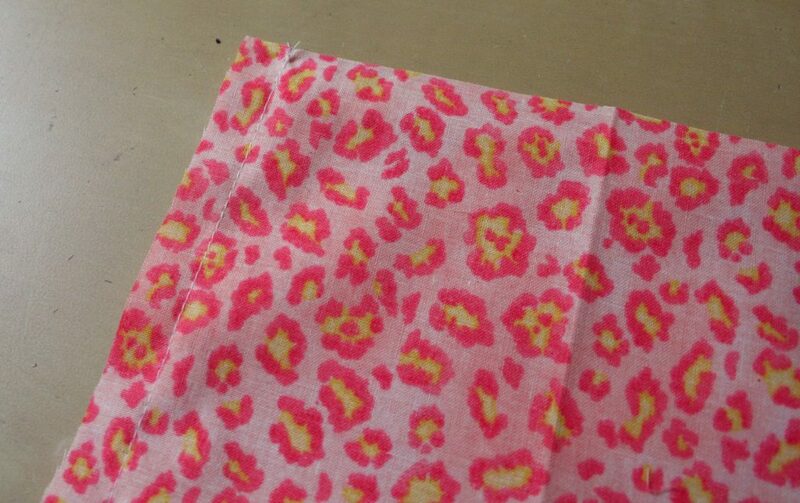 The leopard print is what I’m going to call the outer bag piece, even though It’s basically going to get completely covered by the zipper pocket. 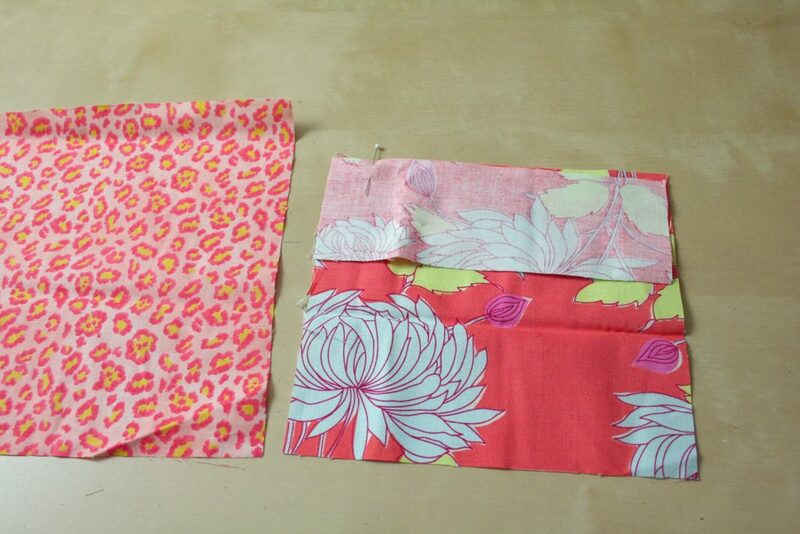 The floral print on the right is the zipper pocket, which you’ll note is cut in two pieces. 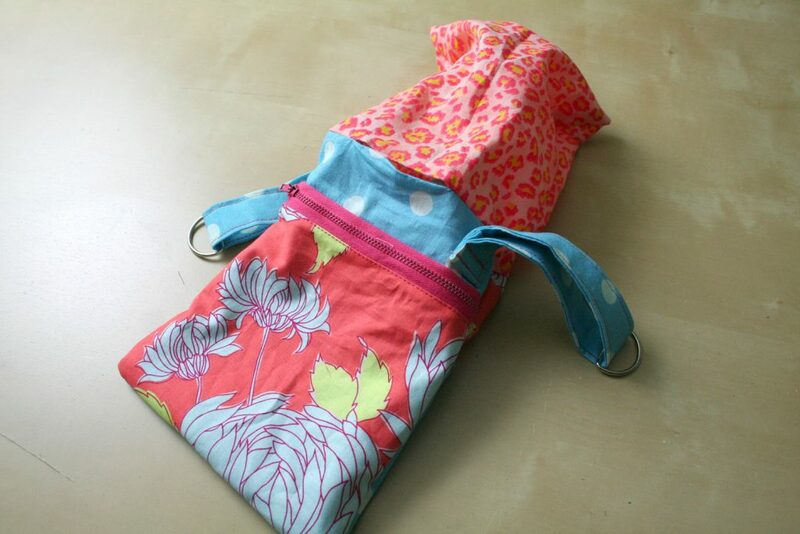 It’s basically the same size as the outer bag piece, with extra seam allowances added for the zipper seam. 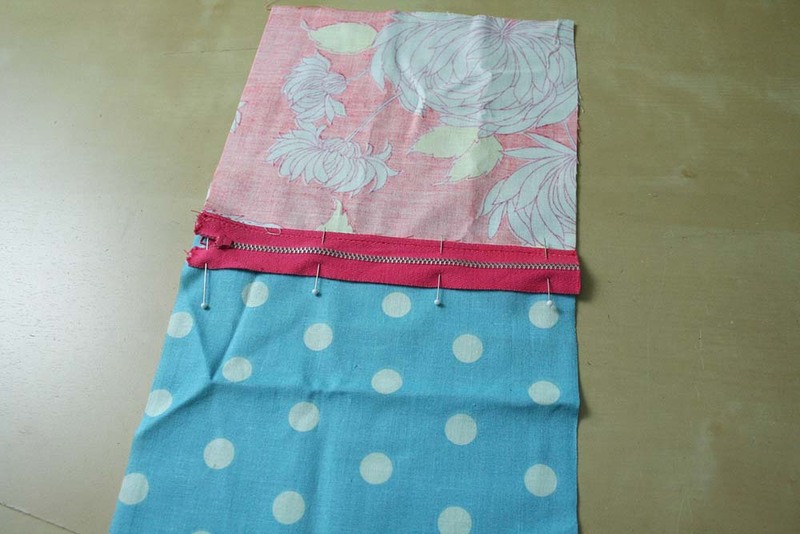 Take the top of the zipper pocket piece and line it up, right sides together, with the bottom zipper pocket piece. Pin it to win it. 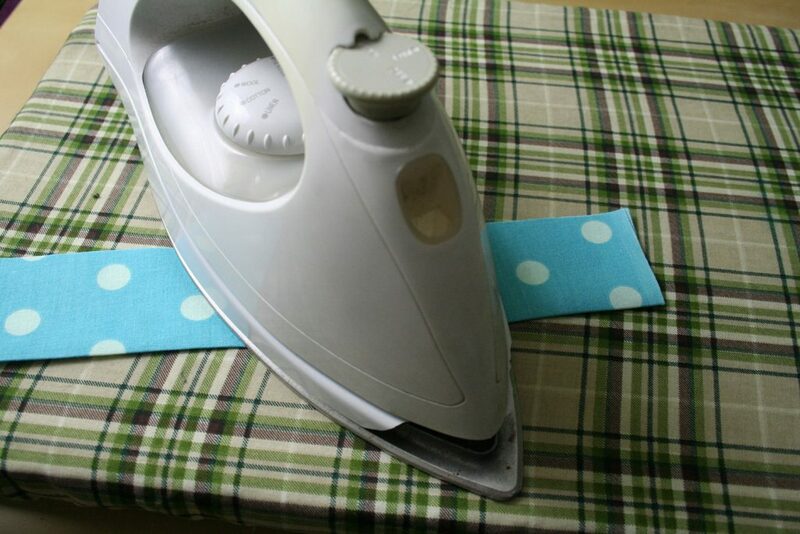 Open the seam and press it with an iron. From the wrong side, align the zipper. You want the teeth of the zipper lined up right down that seam. 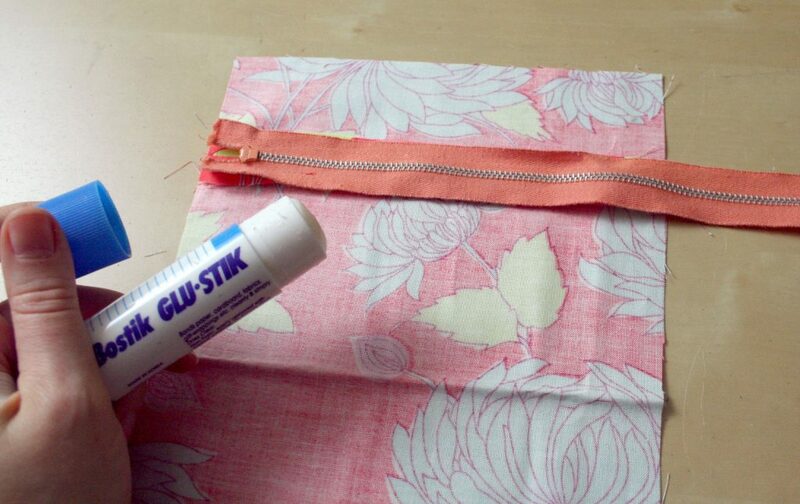 Secure the zipper in place, using your preferred method — pins, tape, or my dear, old friend, Mr. Bostik the Glu-Stik. Now we stitch around the zipper. 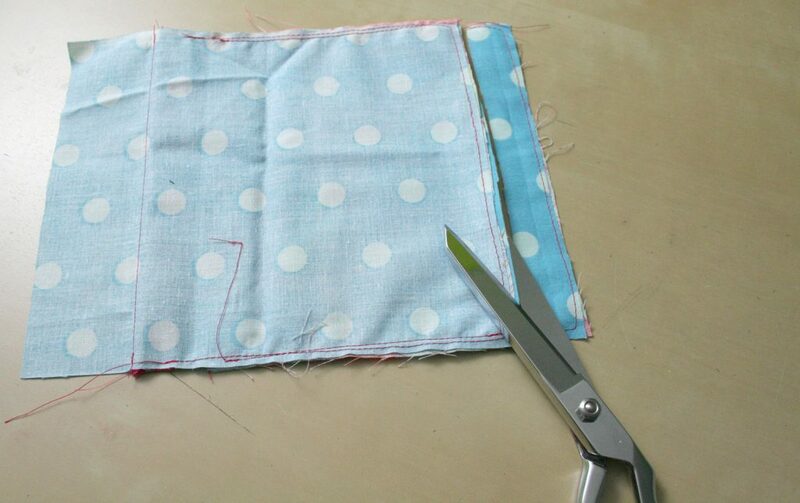 This might sound kooky, but we’re going to sew from the Right side of the fabric, because then we can make sure the stitches are running nicely parallel to the seam line. 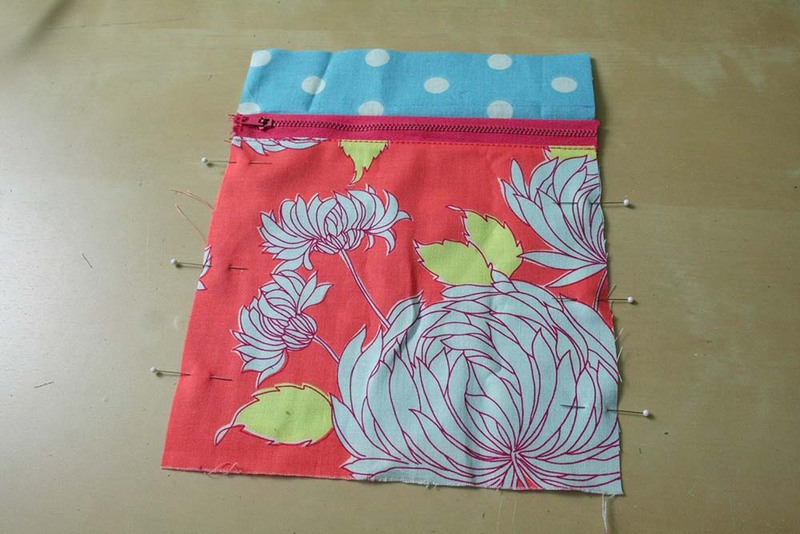 When you get to the ends of the zipper, and it’s time to pivot the needle and sew across the zipper tape, make sure you don’t actually sew through the zipper tape. 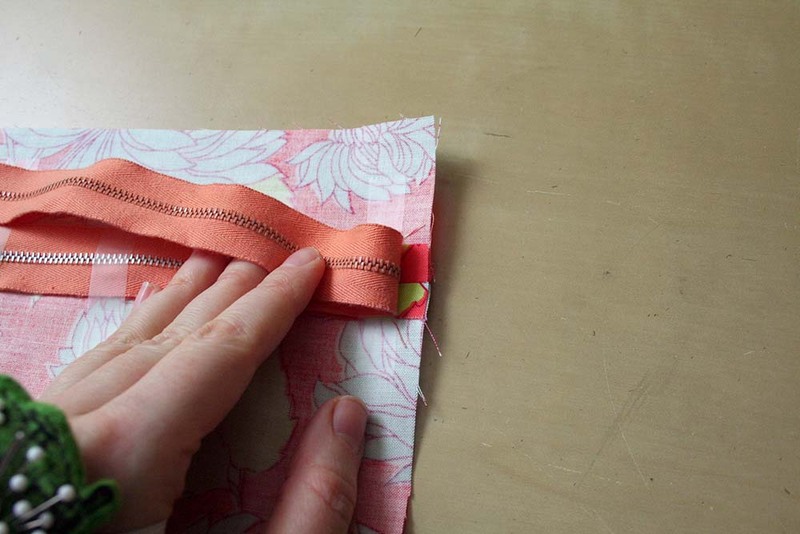 Lift the needle and the foot so you can push just past the zipper teeth, and then lower the foot and needle. Pivot again and sew up the other side of the zipper. 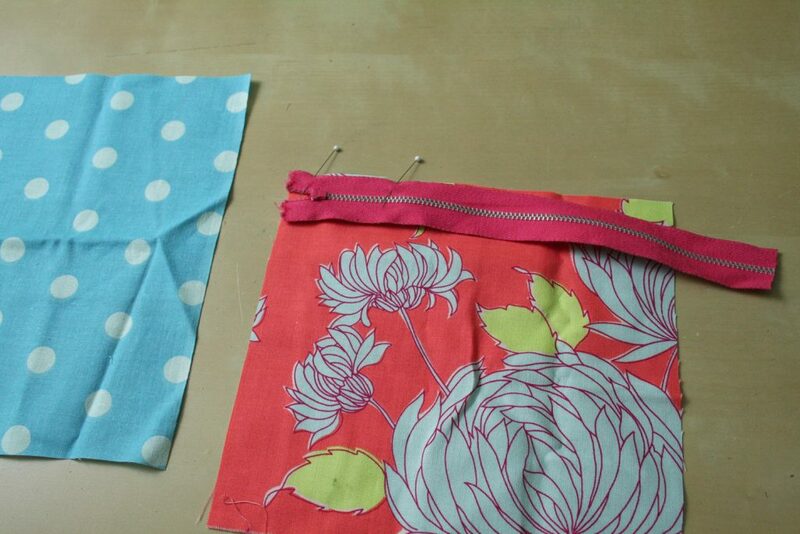 For the purposes of this bag, I’ve sewn across both ends of the zipper. 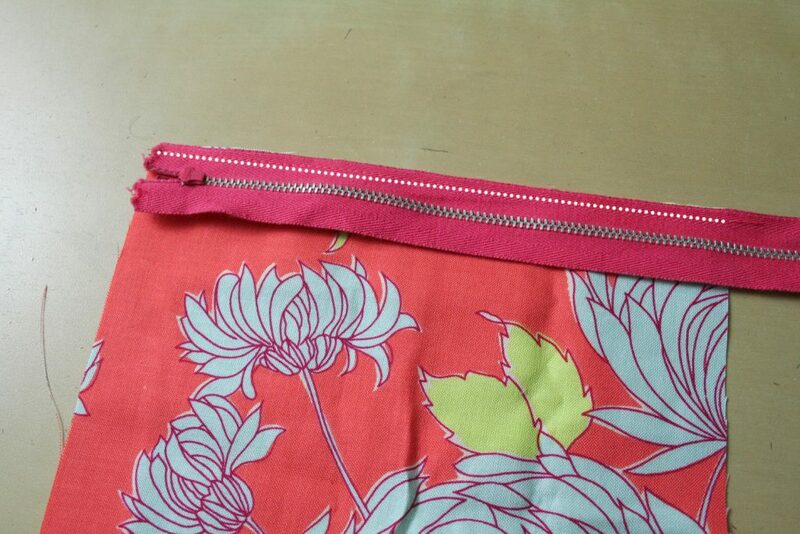 Now, we use ye olde seam ripper to open the seam back up, revealing our magnificent centered zip. Booyah. Now we’ll attach it to the outer bag piece. 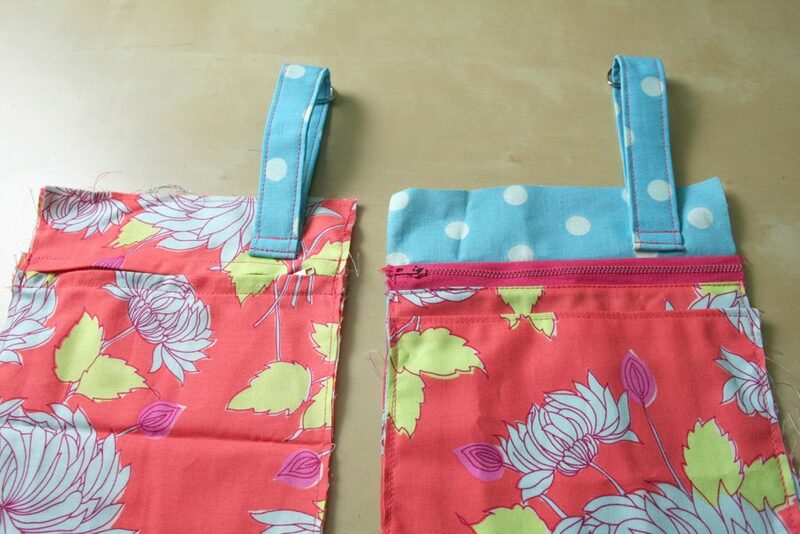 Go ahead and pin the two pieces together, wrong side of the zippered piece to right side of the outer bag piece. 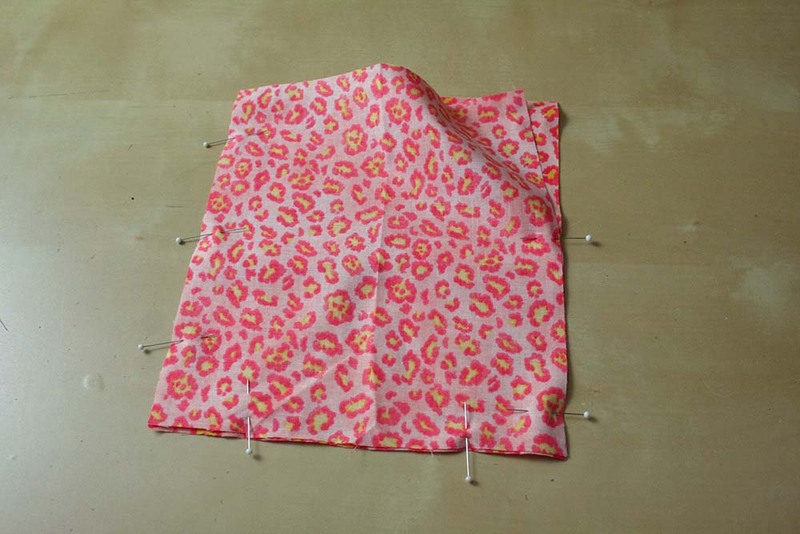 Baste around all four edges using a ¼” seam allowance. 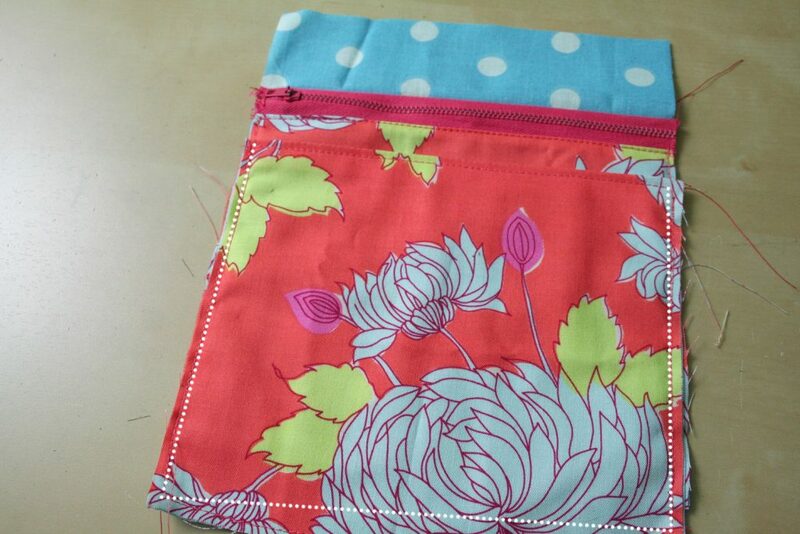 Okay, for the other outer bag piece… more pockets! 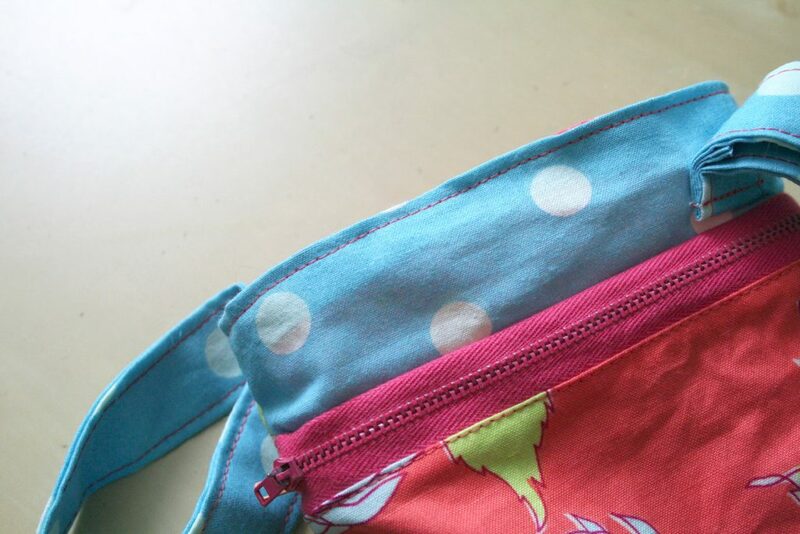 My outer bag on this side is the blue polka dot. 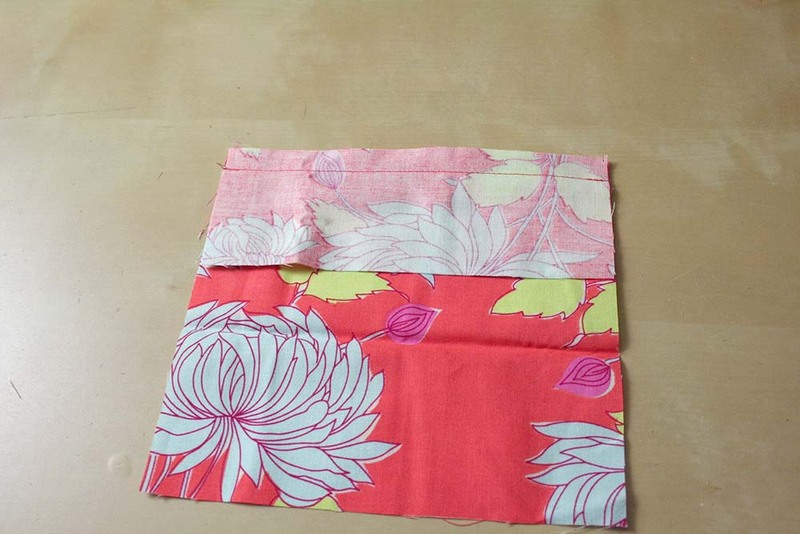 And the pocket is more of the floral print. I don’t know if this zipper implementation style has a name. I’m going to call it the Zipper Topped pocket. 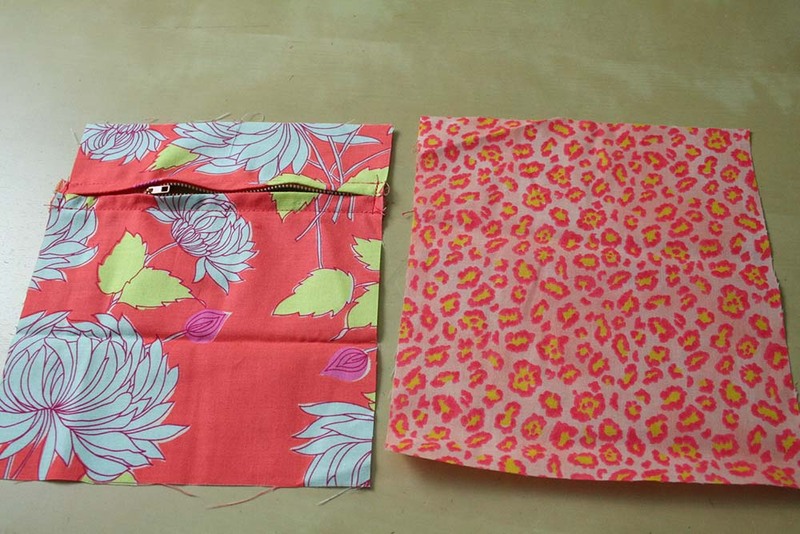 Here you’ll note that my pocket piece is a few inches shorter than the outer bag piece. For this zipper pocket, I’m going to pin (or glue stick or tape) the zipper tape to the top edge of the pocket piece, right sides together. Stitch using a zipper foot. After stitching, press the seam toward the pocket. 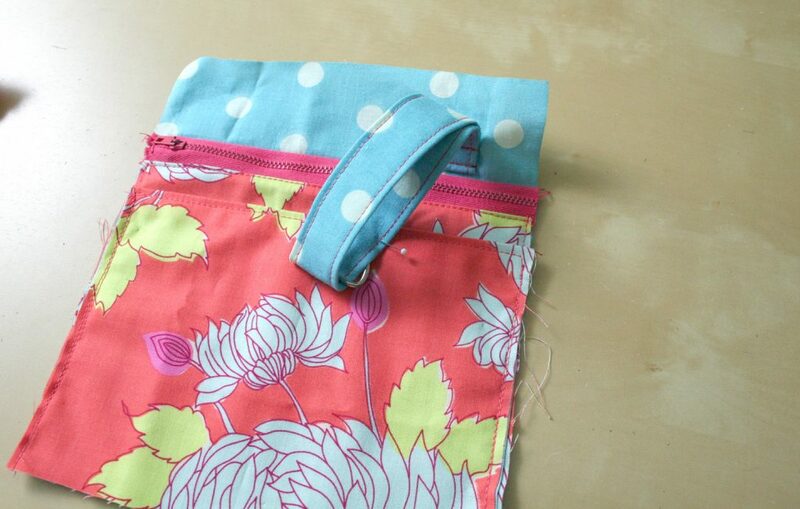 Now we’ll attach the pocket to the outer bag piece. I’ve marked a line 2” down from the top of the outer bag piece. That’s where we’ll align the zipper tape. 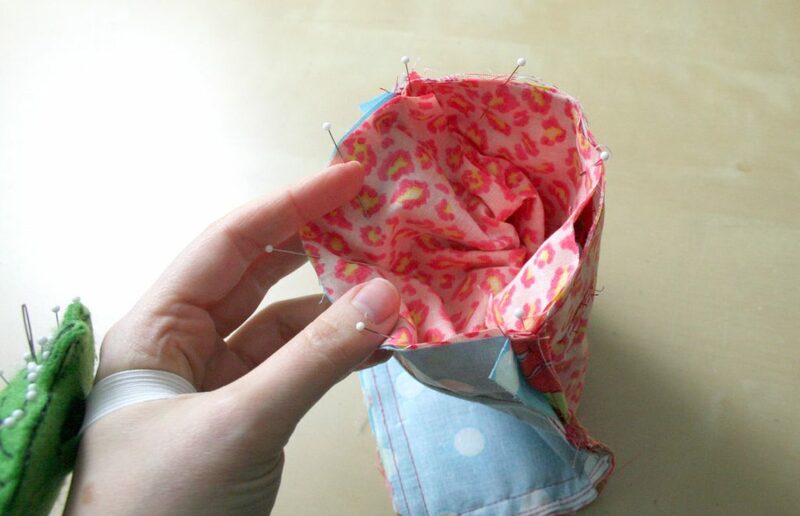 Pin, glue, or tape the zipper in place. 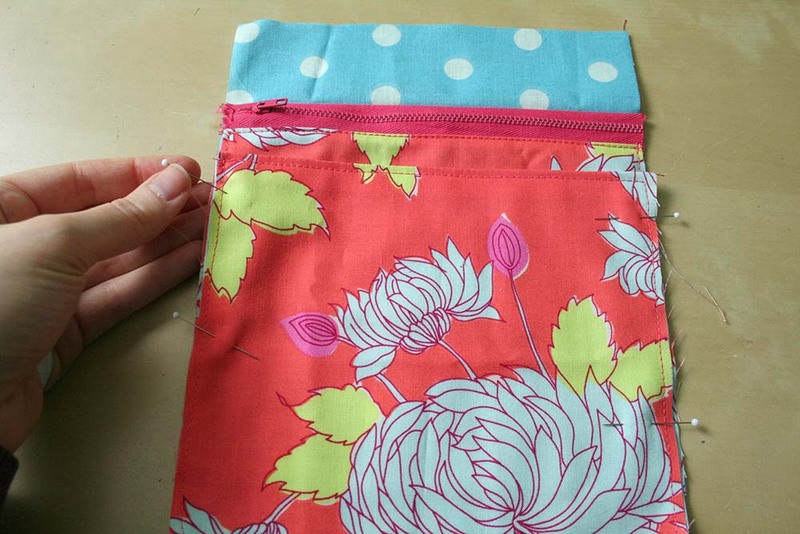 Stitch the zipper to the outer bag piece. 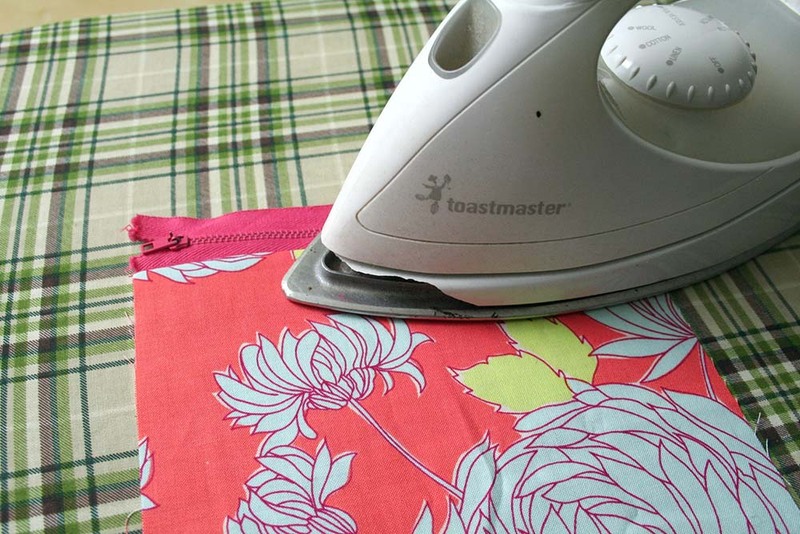 Then open the seam and press. 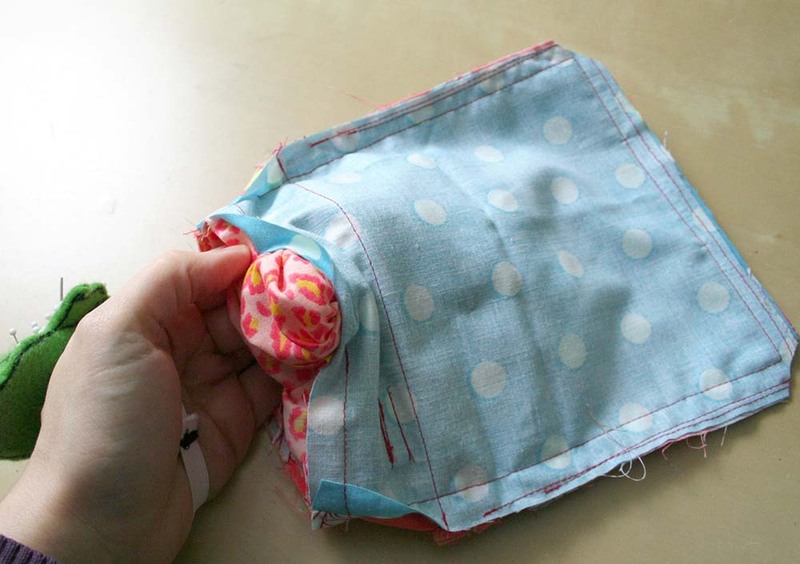 Pin around the sides and bottom of the pocket. 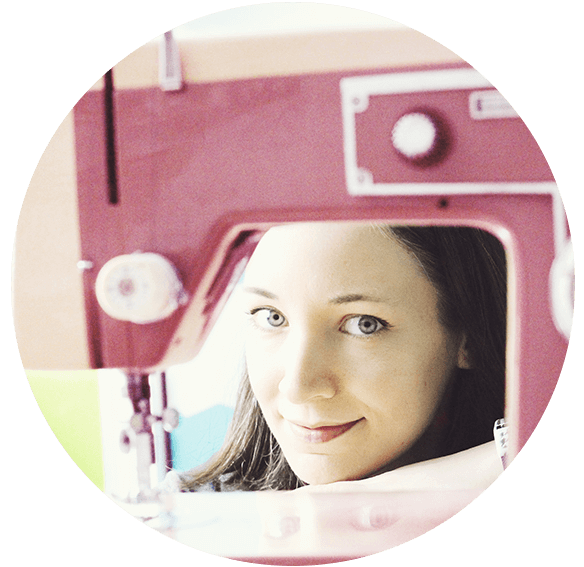 Baste, using a ¼” seam allowance. 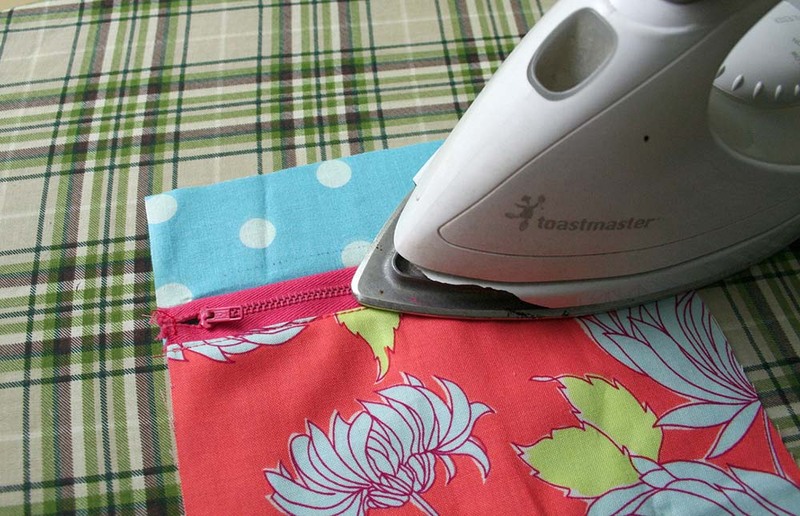 If there’s a little excess length from the pocket, trim that off now. 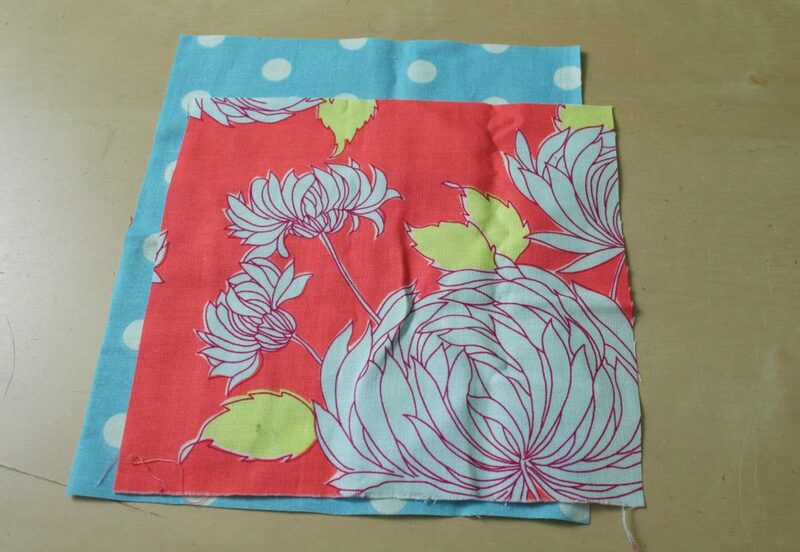 Now just to get really wacky, I’m going to add yet another pocket. We’re going crazy with the pockets. It’s a pocket party up in here. 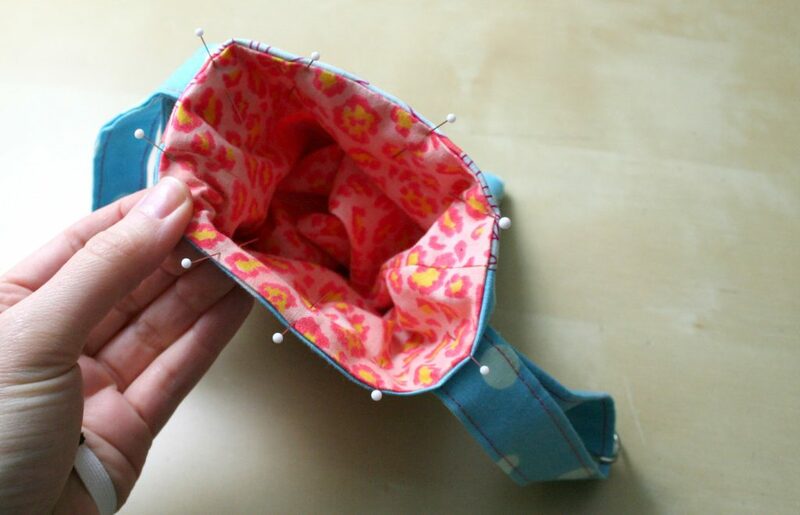 This is just a regular pocket, but don’t tell the pocket that, it’s a little sensitive about not being a zipper pocket. 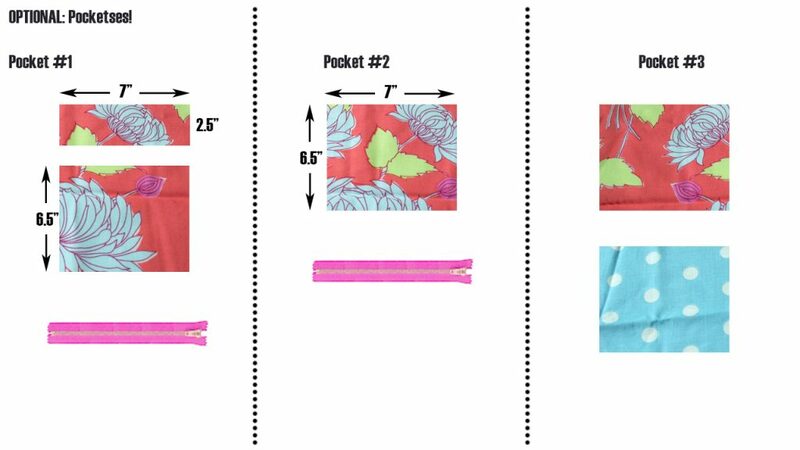 For our final pocket, we need a pocket outer and a pocket lining. Here we go. A polka dot lining and a floral outer. Yippee! Pin the pieces right sides together along the top edge. 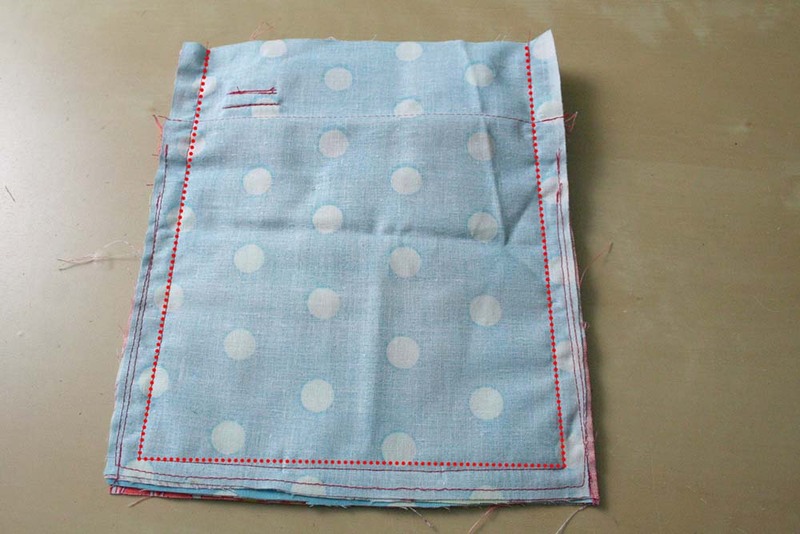 Stitch with a ½ inch seam allowance. 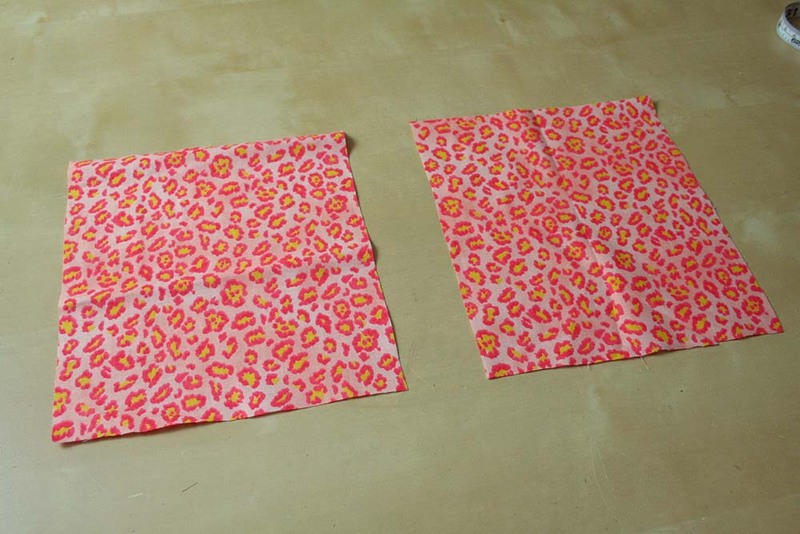 And fold the two pieces wrong sides together and press again. Boom! Now we pin to the outer bag. Whichever side you prefer. I didn’t feel like getting really finicky with the cutting and measuring of the pocket pieces beforehand, so all the pockets are the same size. 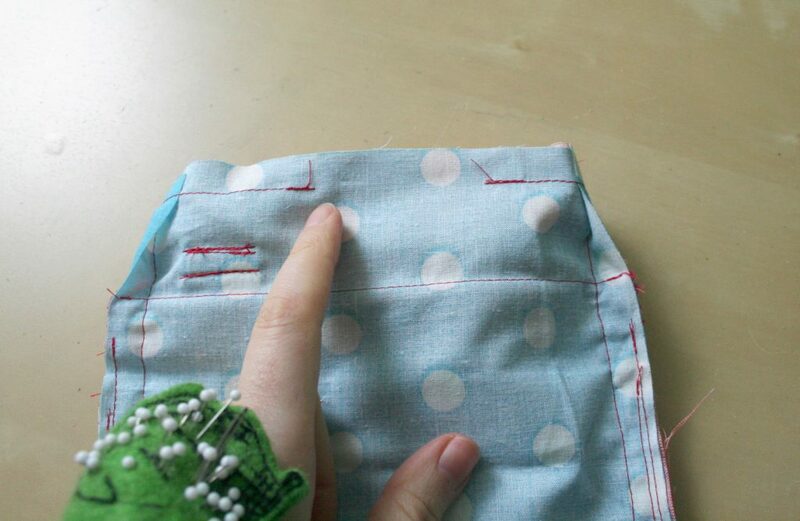 I’m just going to eyeball where I want this pocket to go and pin it in place. 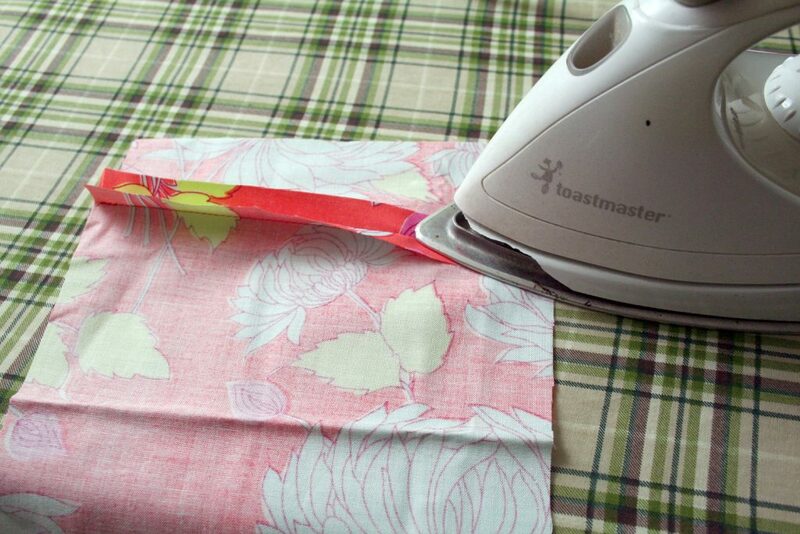 Baste it to the bag using a 1/4” seam allowance around the sides and bottom. And then trim the excess. 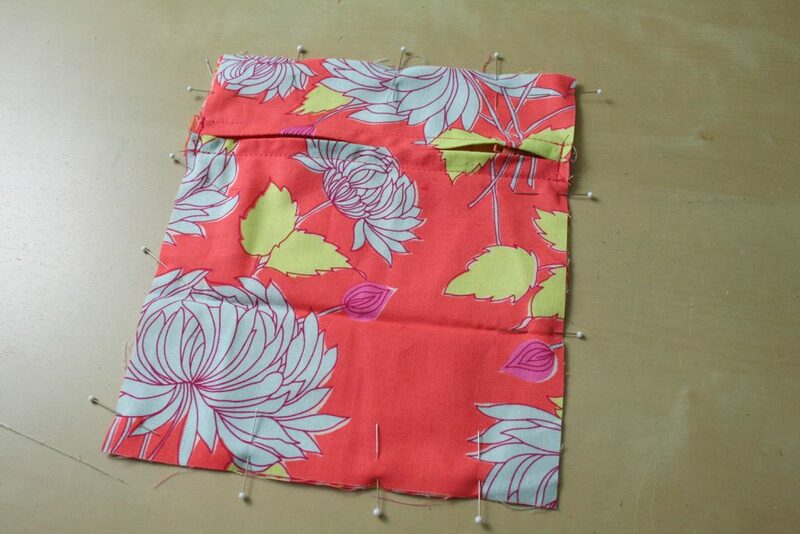 Okay, we better get this bag sewn together before I decided to add like ten more pockets. Time to decide on strap placement. 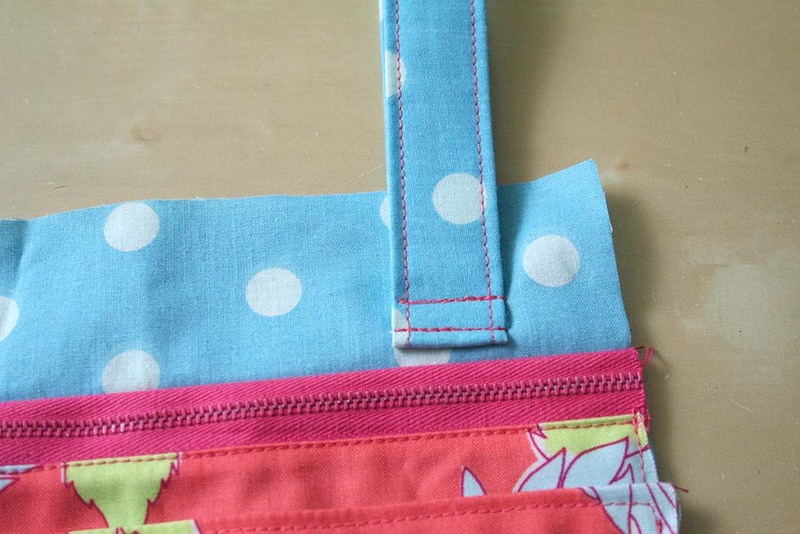 It’s a good idea to keep the seam allowances in mind so you don’t inadvertently sew a strap in the way. I decided 1.5” in from the side was a good spot. And that’s where I’ll center my strap. These are my two D-ring loop straps, by the way. They’re about 15 inches long. Folded in half over the D-ring, they’ll be about 7 inches. 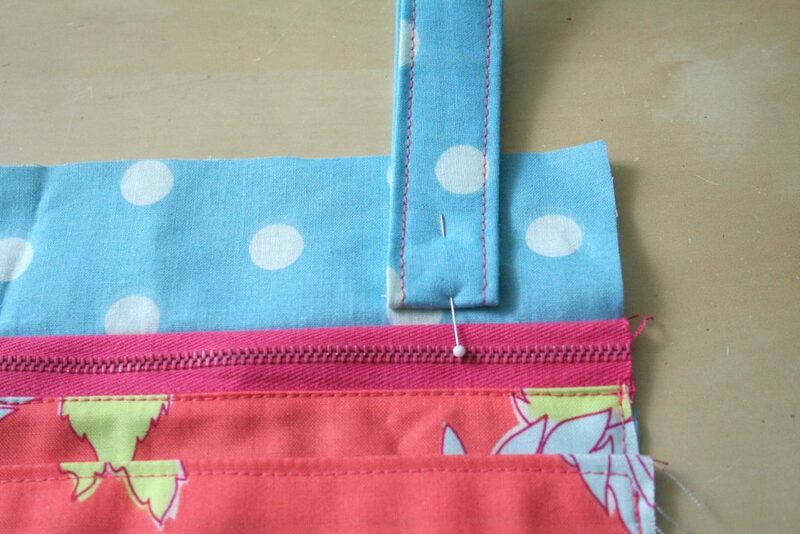 Stitch the end of a D-ring loop strap to each outer bag piece. 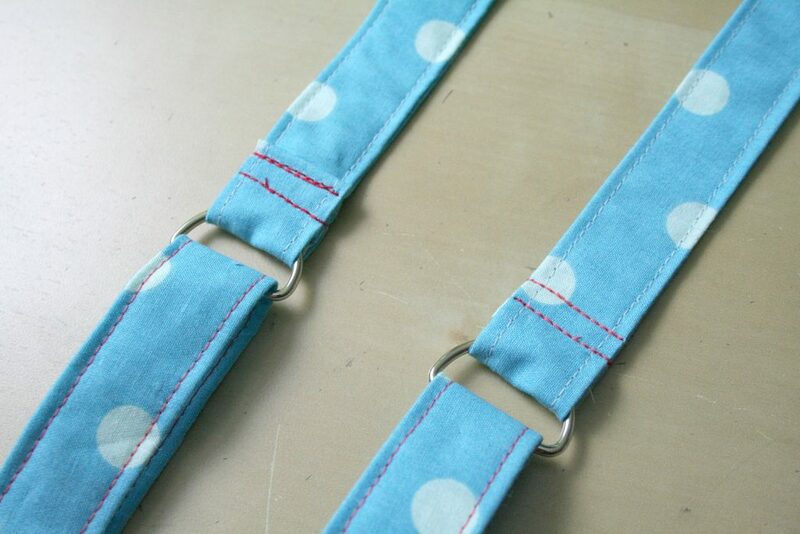 I like to double stitch the ends of my straps like so. 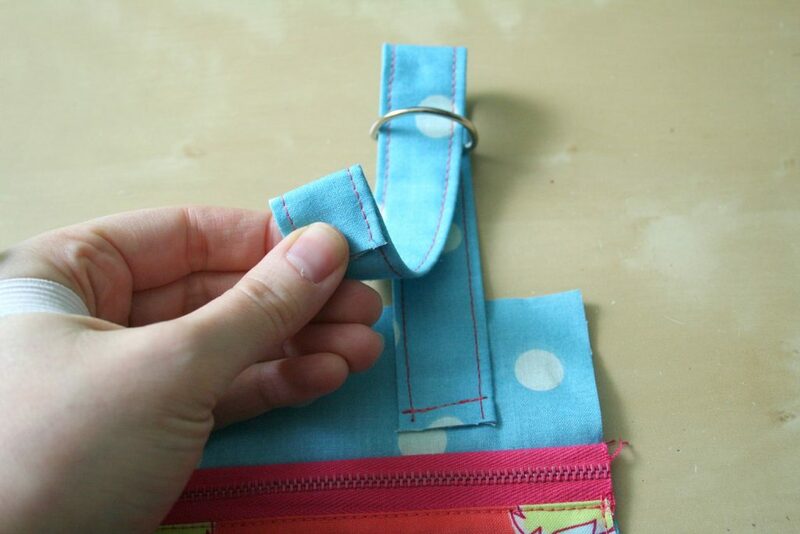 If you’re attaching a regular strap and skipping the D-ring loops, you can just fold the raw edges under and stitch to the outer bag pieces. And you’ll want to do that before the next step, even though I’m going to attach the rest of my strap at the end. I’ve pinned my loops out of the way for this step, mostly because it’s easier for you to see what I’m doing if they’re not flopping around in my way. 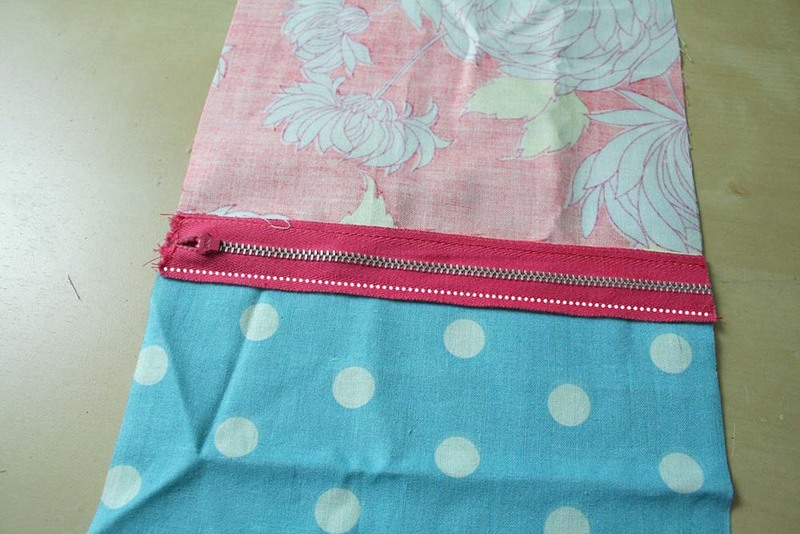 Outer bag pieces go right sides together, and then, you guessed it, we pin! 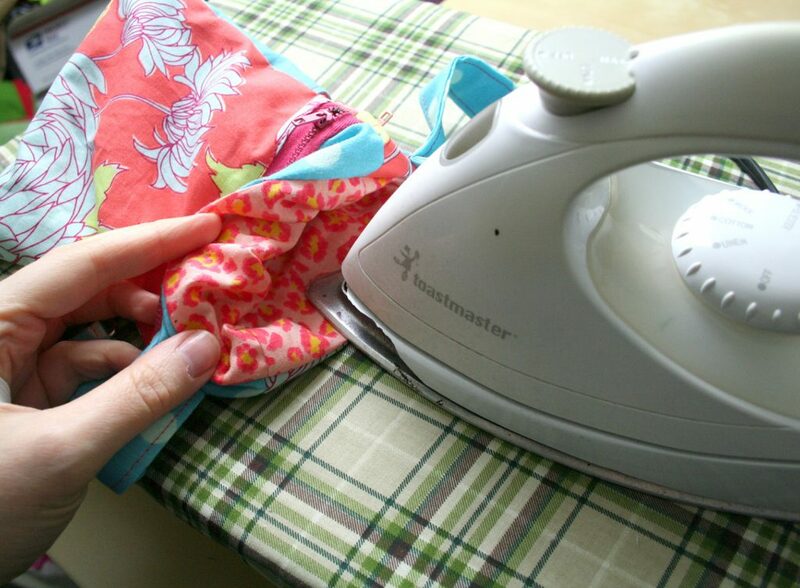 Stitch using a ½ inch seam allowance. Just the sides and the bottom of course. Don’t stitch the top closed. That’d be silly. 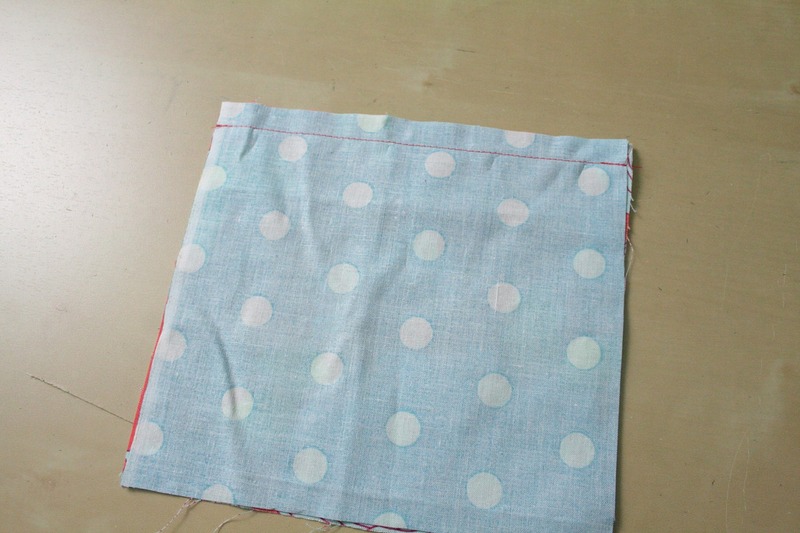 Find the lining we stitched together way back at step 1. 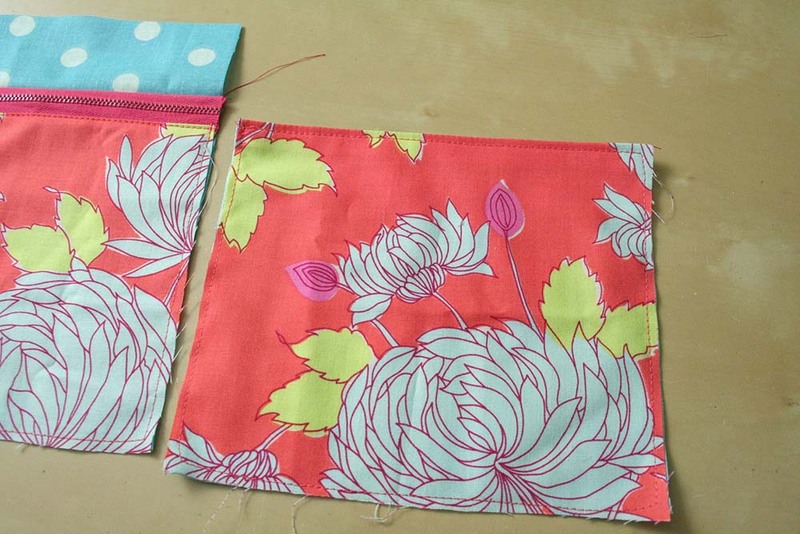 Trim the corners of both the outer bag and the lining. Turn the lining right side out, and slip it inside the outer bag, so that the right sides are together. Line up the seams on each side and pin. 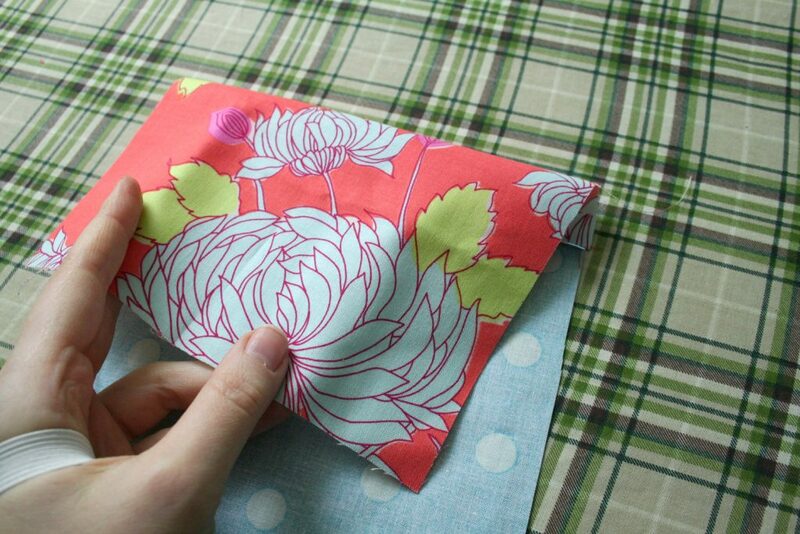 Continue pinning all the way around the top edge of the bag. 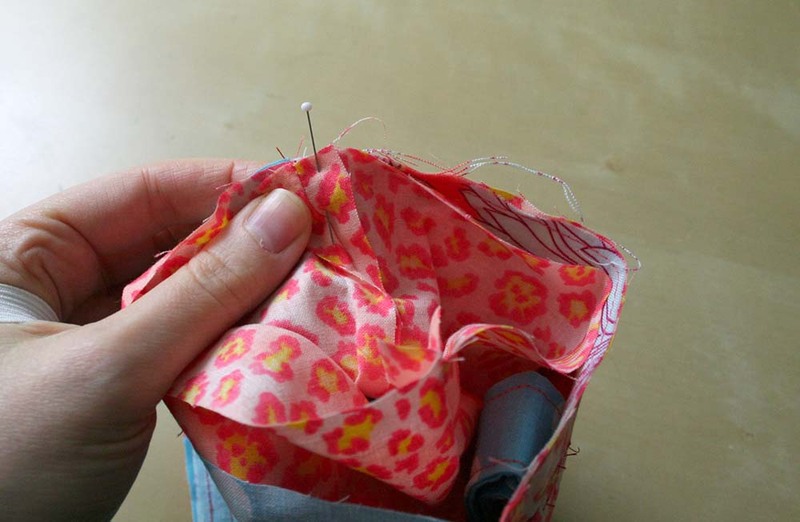 Stitch around the top of the bag using a ½ inch seam allowance, leaving a gap of about 3 inches to turn the bag out. Turn the back right sides out through the gap we left in the previous step. 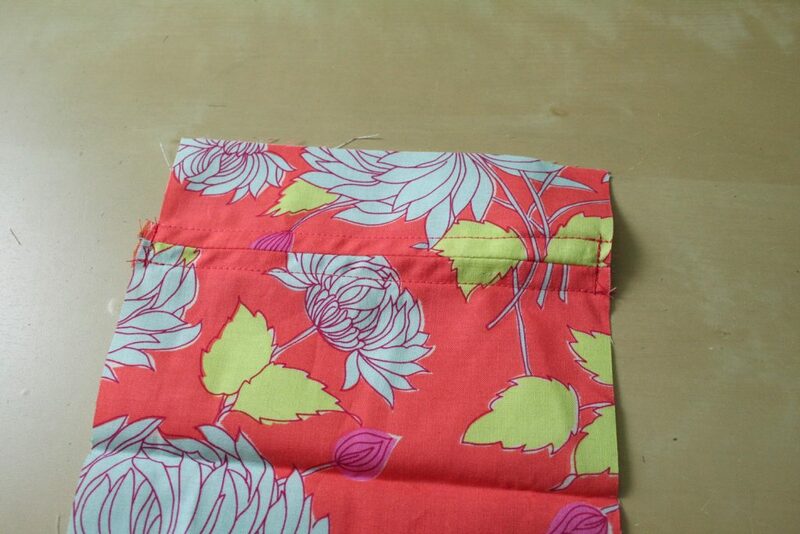 Once the bag is fully turned out, I like to take a chopstick to the corners to get them nice and square. 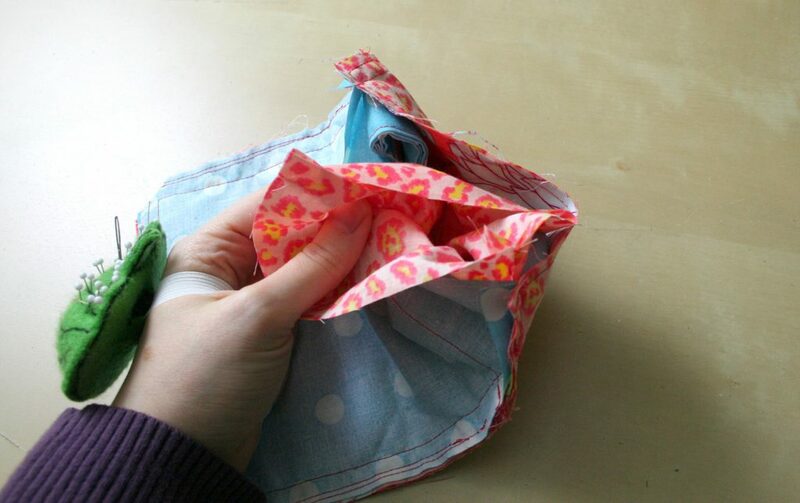 Stuff the lining into the outer bag, and press around the top edge to get that seam looking nice and clean. 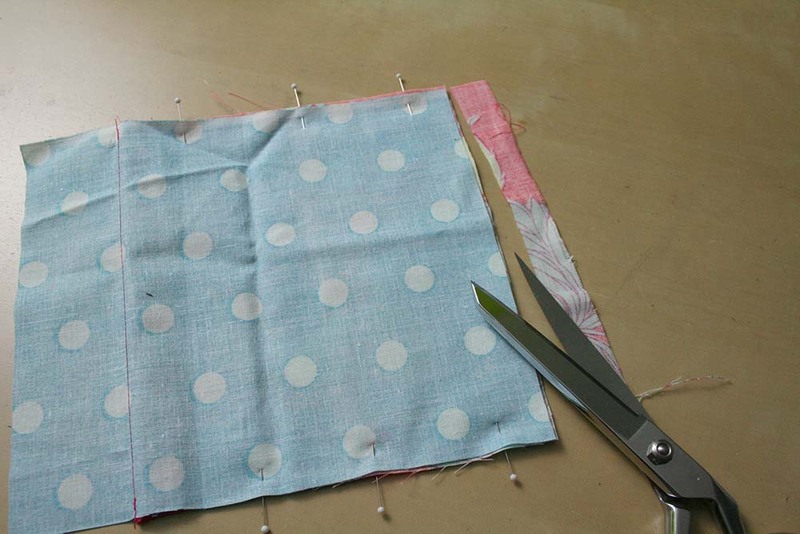 Pay special attention to the gap — folding in the raw edges and pinning in place. All that’s left is to finish the strap. 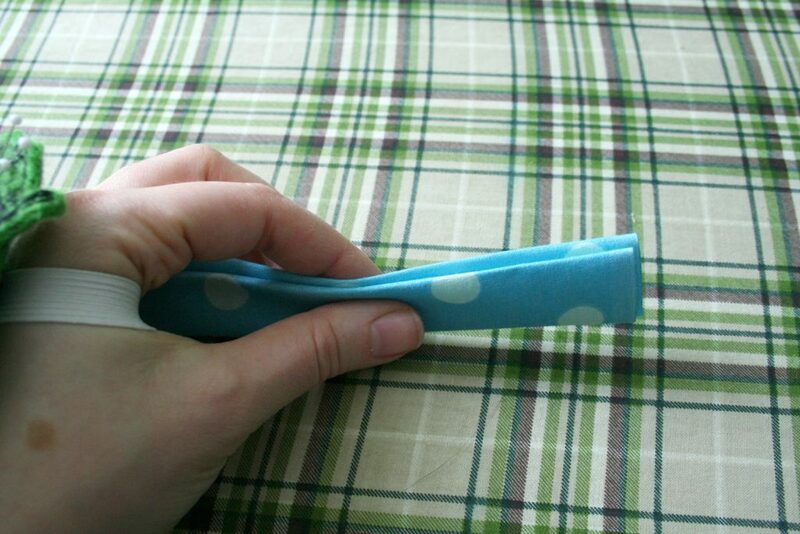 Take the main strap, fold it around the D-ring, fold under the raw edge, and pin. 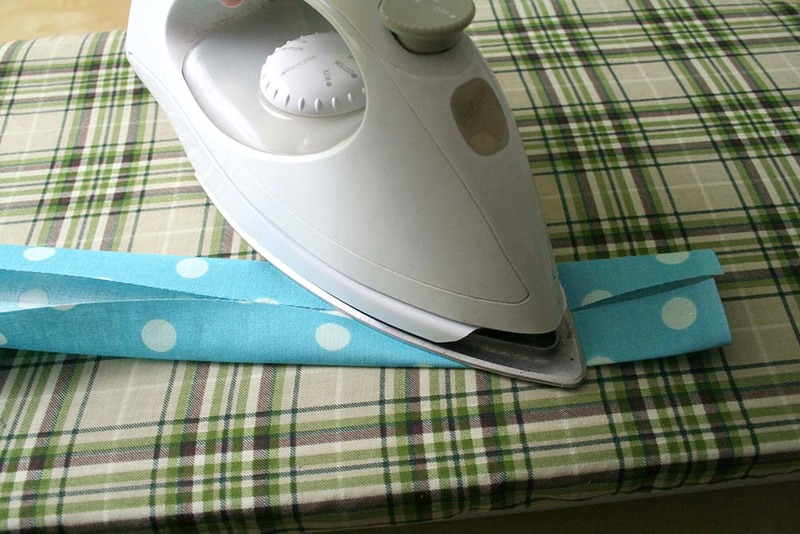 Repeat that for both ends, making sure you don’t have any twists in the strap. Stitch the strap ends and shablam. Finished bag. 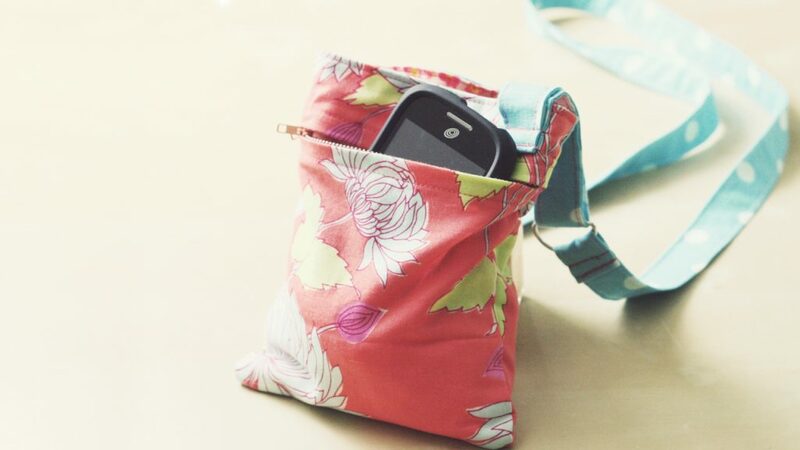 With more pockets than you can shake a stick at. Let me know how your bag turns out in the comments! 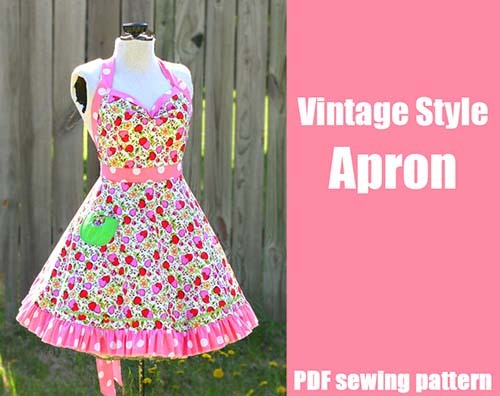 Finally a Youtube video on a a great DIY! But you can also embed it in the post itself. 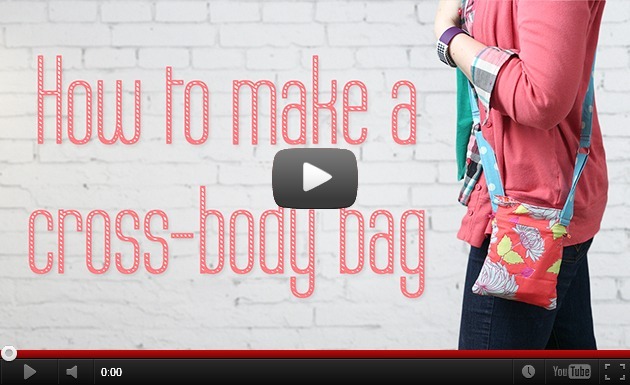 I was looking for a PDF version of your tutorial on cross body bag with lots of pockets. Unfortunately, I don’t have a PDF version of this tutorial.